Michael Stipe says R.E.M. in Dolby Atmos is "breath-taking" - and we agree | What Hi-Fi? We visit Dolby Europe to hear the 25th Anniversary Edition of R.E.M. 's Automatic For The People in Dolby Atmos, then have a word with founding members Michael Stipe and Mike Mills. It's fair to say Michael Stipe was relatively ambivalent when, a year ago, it was pitched to R.E.M. 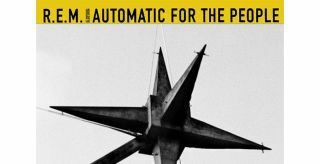 they celebrate the 25th anniversary of Automatic For The People by remixing the album in Dolby Atmos. “I was like, 'whatever, it’s a thing’,” he told us at Dolby’s European office, shortly after we heard the results for ourselves. It’s true: listening to this record in this way (and it's one we thought we knew pretty much inside-out – more so than Stipe, it would seem, after he revealed to us he’d forgotten which tracks were on it) is actually quite deeply affecting. Not only because of the extra detail revealed in this now three-dimensional sonic soundscape, though we heard parts we hadn't realised were there or, at least, parts we hadn’t imagined being quite so fundamental to the arrangement. But because, for many of the songs, it changes our whole perception of their character. In some ways, this is a new album. That might not be exclusively a good thing. With the music raining down upon us more so than drifting toward us across a room, listening to music in Atmos offers an inherently more assertive performance, where vulnerability is negated somewhat due to the way we’re processing this more immersive delivery. But it is definitely, unaguably a different thing. It’s something Mike Mills, who had a hand in remastering and mixing the album alongside original producer Scott Litt and mixer Clif Norrell, is conscious may not be entirely transferable to every record. “I don’t know that you would want to use technology just for the sake of using it,” he told us. “Certainly this record stands up well to it – I’m trying to picture Monster with that, and it may work. “It’s actually fascinating to see: when you mix it you actually have a 3D representation of the room on the screen and you can literally move the little dots around that represent the tracks, and see where they go and where you want to put them. There is, of course, plenty more to the four-disc anniversary edition for those without an Atmos setup. It includes three CDs – the remastered album, a live performance from the 40 Watt Club in the band’s home town of Athens, Georgia, and 22 Automatic For The People demos. Plus a Blu-ray that, along with the Atmos mix, offers a hi-res version of the album and eight music videos. You can also find the remastered album on vinyl, or in a double-CD package with the live performance also included, but no demos. But on the evidence of this, the first commercially available Atmos mix of a record, there is undoubted scope for future hi-fi systems to incorporate those extra channels. Given the first step in this particular endeavour was producing a test mix of Losing My Religion, from the band’s previous album Out Of Time, there’s no reason it shouldn't be R.E.M. who further cement their credentials as pioneers of the technology.